Jayne Thompson was approved as our Chapter Vice President for 2013. Since there was a vacancy in the position, the Executive Board recommended Jayne Thompson's name for the position. There were no other names brought forward. The members in attendance approved the recommendation. The membership approved the Chapter Budget for 2013. This budget has a beginning balance of $3,259.50. The only two expenditures authorized in this budget is CSEA Annual Conference and our Scholarships for 2013. After these, the ending balance will be $1529.50. Reminder... Conference Delegate Nominations in February! 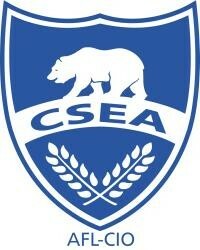 Just a reminder that at our February Meeting (2/25/2013) that we will take nominations for Chapter Delegates to CSEA's Annual Conference. If you are interested in being a delegate for Conference, please plan on attending our next meeting.